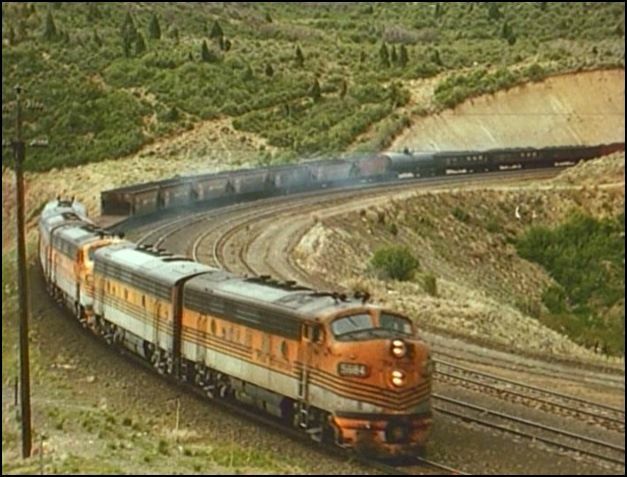 The Denver & Rio Grande Western in the Rocky Mountains. A healthy dose of steam operations on the Rio Grande narrow gauge is here. 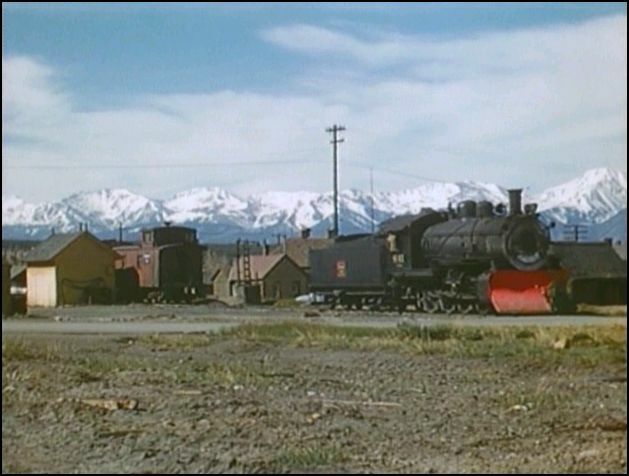 Speaking of steam, a standard gauge Burlington Route 2-8-0 is shown, working at Leadville. A balanced presentation of, freight and passenger trains. Fascinating viewing. 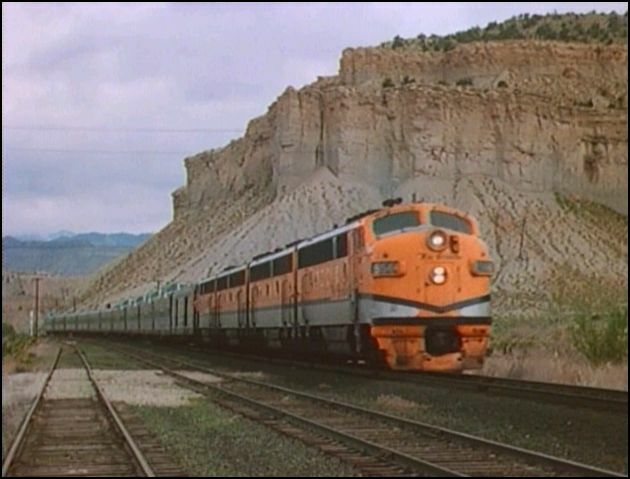 Natural, scenic beauty is often the setting, for this train video. Emery Gulash made multiple visits there. His 16mm color film camera recorded the action. At 2 1/2 hours, there is good coverage of the Rio Grande. The 2 DVD’s are a worthwhile upgrade over the old vhs format. Chapter menu. Stereo sound. Train sounds by Emery . Fine, basic narrative by Bob Carrera. We begin in May 1964. 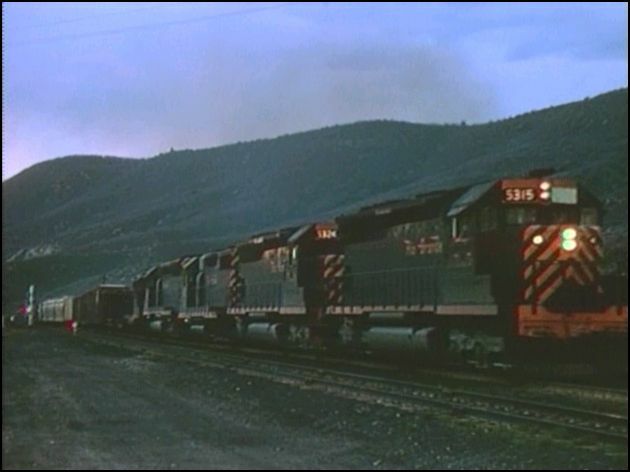 The Wasatch mountains have F7A/B and GP9 locos. The F unit mid-train helpers were a surprise to Emery. Soldier Summit is a showcase for the weathered, covered wagons. 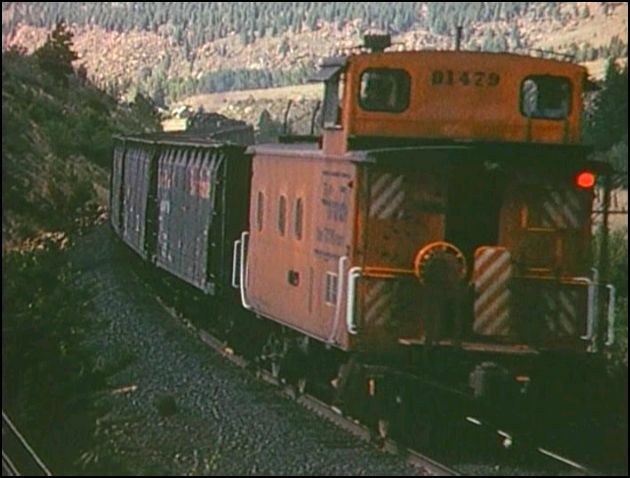 This is mountain railroading! Great scenery, and over to Castle Gate. Denver Union Station is featured with the CB&Q, UP and DRGW trains. DRGW 5102 rides the turntable at Alamosa. 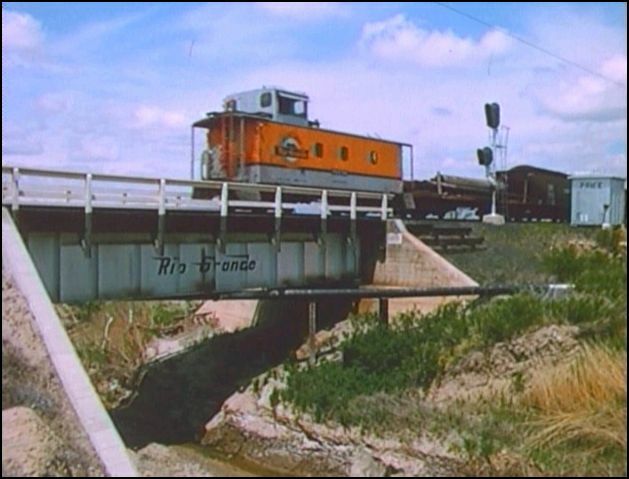 In May 1960, the dual gauge operation is shown and continued in 1964, at Alamosa and Antonito. Intriguing segment to say the least. Matched sets of GP30,GP35, SD7, F7 units make for interesting viewing. The California Zephyr is frequently included. 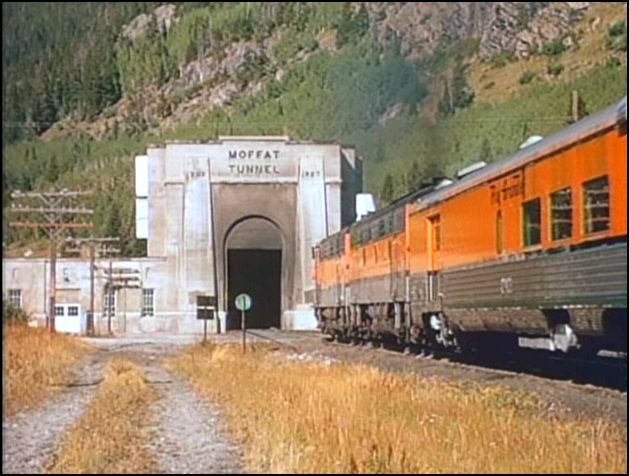 The 2nd half is at Moffat Tunnel in 1972. Grand Jct. is a busy division point. A limestone operation is a highlight visit. 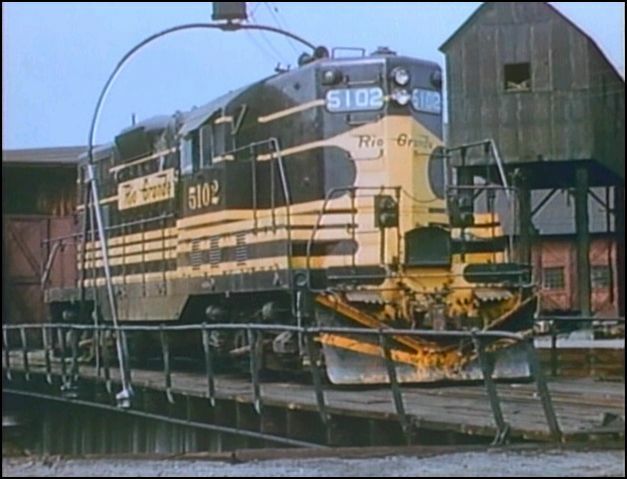 Two GP- 30 locomotives are busy at work. 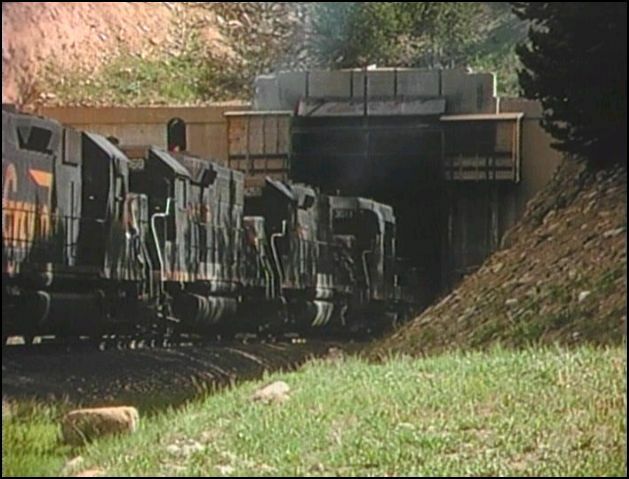 Burlington Northern / Colorado & Southern action. A wide variety of cabooses are seen. Emery was great at mood shots. Dusk falls at Helper. 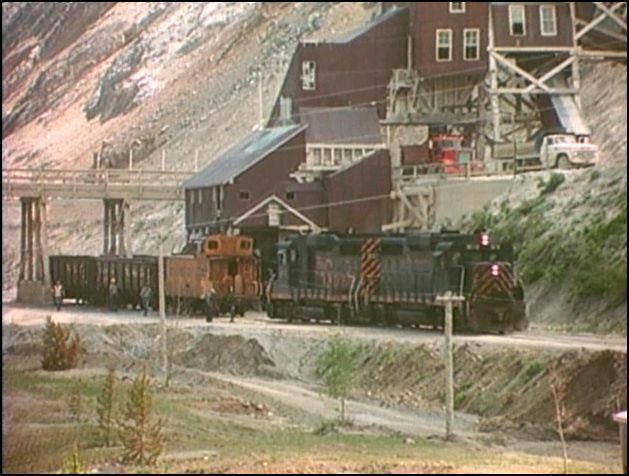 Mid-train helpers at Tennessee Pass. Much more…. Green Frog has another excellent entry in their Odyssey series. This set is fantastic! 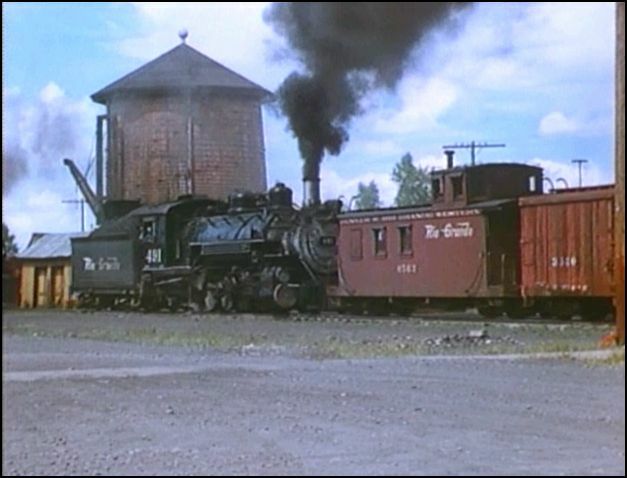 This entry was posted in ATVR Reviews, Green Frog Prod., Steam Train Reviews and tagged American Train Video Reviews, Burlington Northern, narrow gauge, Railroad, Rio Grande, Steam, Train DVD, transportation by William J. Hudson. Bookmark the permalink. I agree with you that this a fantastic visual journey. But – I would also like to tell you that I originally purchased it in the Beta format! Yep, you read that right – that’s spelt B-E-T-A !!!! It was housed in the big, beautiful case with those beautiful graphics. I had the best consumer-level Beta VCR in the USA to play it on – the Sony SL-1000 Super Beta. I I still have that VCR and I still have that Beta 2-tape set! 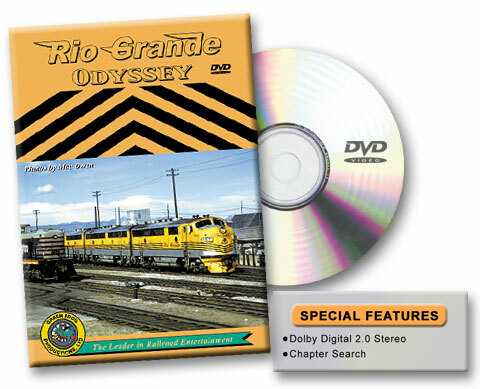 Now, I have just ordered the BluRay Remaster of Rio Grande Odyysey and I am truly looking forward to it. Thank you for sharing. I once had the book like, double VHS case version.